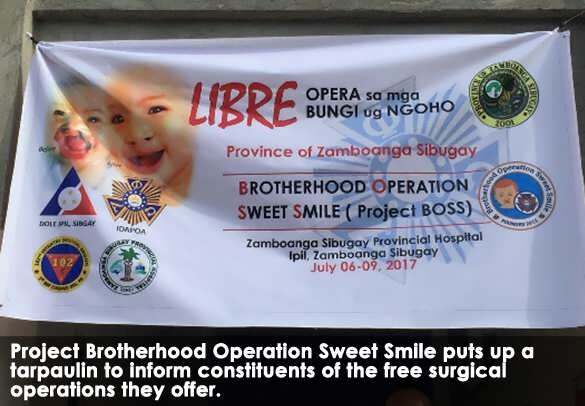 Ipil, ZSP - Project Brotherhood Operation Sweet Smile (Project B.O.S.S), an NGO in coordination with DOLE ZSFO, Zamboanga Sibugay PESO Federation and Provincial Government of Zamboanga Sibugay with the assistance of Rotary Club of Ipil conducted a 3-day Free Surgical Mission for children and adults with cleft lip/palate at the Zamboanga Provincial Hospital last July 7-9, 2017. Sixty-two (62) patient-beneficiaries benefited from the said mission. The patients were scouted and identified by PESO Managers of the different municipalities in the province. A team of highly skilled Plastic Surgeons and nurses came all the way to Ipil from Manila to perform the surgery. 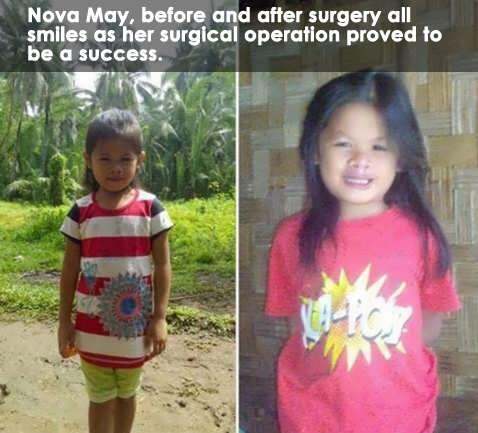 One of the patient-beneficiaries is Nova May Campilan, born with a cleft lip from Malangas, Zamboanga Sibugay. She is the only child of Rey Pacot and Merlyn Campilan. Nova is a sweet little girl. She enjoys playing outdoors with her friends and is doing very well in school. Her father Rey is a tricycle driver who took on the responsibility of taking care of Nova while her mother, Merlyn is working in the Middle East. The parents wanted to have Nova undergo cleft lip surgery but the procedure would cost a fortune and despite working day in and day out, their finances will never suffice. Thankfully, with the conduct of the surgical mission in their province, Nova and her parent's prayer was answered. Through the help of the PESO of WMSU-Malangas ESU, arrangements were made to have Nova ready for the surgery.